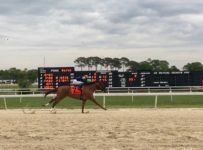 Fast Flying Rumor took off to an early lead and was never headed as he won the $100,000 Turf Dash at Tampa Bay Downs on Saturday. Fast Flying Rumor, at 11-1, beat the 3-2 favorite Power Alert by 4 ¾ lengths in the five-furlong turf stakes for 4-year-olds and up. 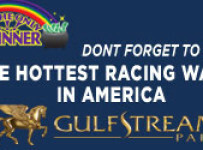 Ronald Allen Jr. rode Fast Flying Rumor (photo on home page) who won in the fast time of 55.03 seconds on the course listed as firm. Fast Flying Rumor, a 4-year-old Florida-bred gelding, is trained by Gerald Bennett. Fast Flying Rumor’s time was .43 seconds off the course record established by 2015 Turf Dash Stakes winner Bold Thunder, who was not in Saturday’s race. Fast Flying Rumor’s fractional times were 21.03 seconds for the quarter-mile and 43.72 for the half. Power Alert finished a length ahead of third-place finisher Night Officer in the 10-horse field, with Beantown Saint a neck back in fourth. Richies Sweetheart, winner of the $100,000 Lightning City Stakes for fillies and mares on Dec. 19 at Tampa Bay Downs, faded to seventh. Fast Flying Rumor is owned by Mary Bennett’s Winning Stables and Midnight Rider LLC of Matt Ferris. Gerald Bennett is Mary Bennett’s husband. Fast Flying Rumor won the Turf Dash Prep in impressive fashion on Dec. 11. 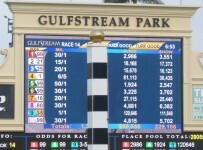 But on Saturday, many bettors questioned how he would handle the step up in company. 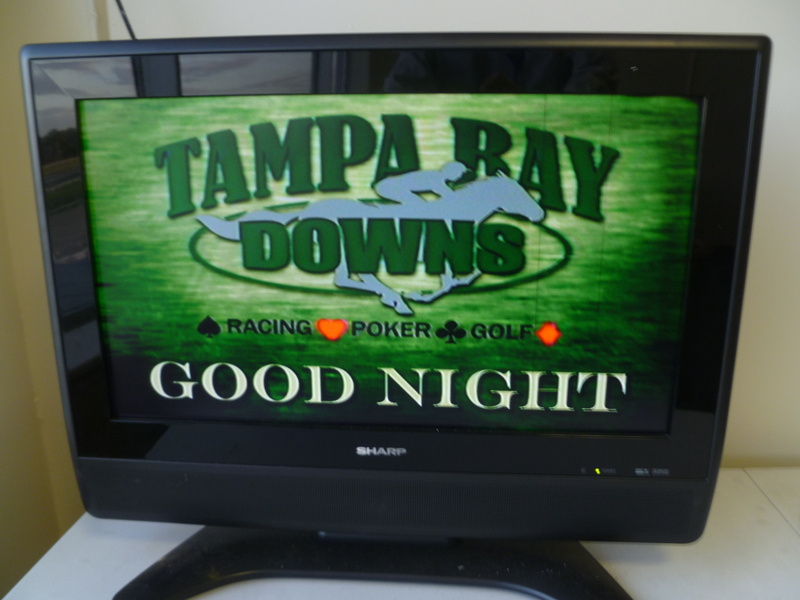 “He’s given us a lot of fun so far,” said trainer Bennett, who claimed Fast Flying Rumor for $25,000 out of his maiden victory at Tampa Bay Downs last Jan. 24. After winning the $60,000 Select Stakes on the turf at Monmouth Park in Oceanport, N.J., last June, Fast Flying Rumor turned in three sub-par efforts before being sidelined three months. “His electrolyte levels were out of whack, so we just stopped on him and gave him some time,” Bennett said. Bennett had entered Fast Flying Rumor in the July 9 Fasig-Tipton Sale in Kentucky after his Select Stakes victory, but withdrew him when he didn’t get his asking price. With a wide grin, Bennett acknowledged that the best moves are often the ones you don’t make. Allen and exercise rider Tommy Pellegrino had been getting on Fast Flying Rumor in the mornings in recent weeks, and Allen said the horse was sharpened to a razor’s edge. Fast Flying Rumor improved to 5-for-14 lifetime with career earnings of $180,795 after the $60,000 payday.